All updates will be on the new club website. Once again we would like to thank all those that have follow our club with this blog. It gives me great pleasure to inform all of you that we won our second game of the SY-RUC league. Muaz *2, Faddil * 2, Chin Yong, Naz and Irfan with 5 conversion from Faddil. Great job boys. Awesome games and everyone of you played very well. 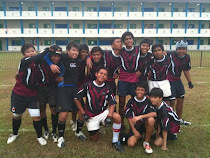 Boys please rest well as we will be playing Centaurs this coming Sat 5th Mar 2011. We are please that the above mentioned kick off well and we had a great start. Well done under 16s boys lead by Irfan. We won Centaurs Blues 42-5. Running in 8 tries and one converted try. This coming Sat training as usual for all age group. 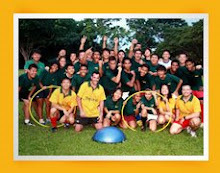 The first games of the Singapore Youth Rugby Union Clubs League [ SY-RUC ] will commence this coming weekend 12th February. and on the Centaurs pitch, Ta'Moko Lions will take on the Blues. For anyone wanting to watch juniors in action, they are more than welcome to join us at Turf City and enjoy the environment. 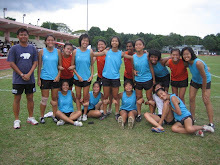 By way of background: The SY-RUC is a non-profit combination of local Singapore rugby clubs, who are actively inviting more teams to join the league, and players to join the exiting teams. All current teams are made up of local U16 players, and we hope to also run leagues at U14 and U13 level too. This is an open opportunity for players of varying experience and from all back grounds, including players from outside the traditional rugby schools, to enjoy the true spirit of rugby through training and game play. Rugby players come in all shapes and sizes, there are different roles within rugby teams that require a player to have various physical attributes, so everyone is welcome to have a try. We are aiming to promote rugby to the community, and offer the youth of Singapore a fun, positive and competitive environment in which to excel. We are currenlty on FB. Locate us: Tamoko Lions RFC and get all the updates on training, games and tours. Coach Kelvin and Coach Sean. Please report to Turf City Field this Sat 12th Feb 2011 by 315pm sharp. We will gear up by 345pm and warm up by 4pm. Please wear your club training tshirt or polo tshirt plus black shorts. Don't forget to bring your mouth guards. Kazuki, Nasul, Danny and Raihan pls be at Simei MRT by 230pm. Wait for me opposite East Point there is a bus stop. Starting line up will be name in due time so all players are to turn up for game. Important: THere will be NO TRAINING this Sat at Farrer park for under 14s and Juniors. Do come down to Turf City to watch the game. Kick off at 515pm.